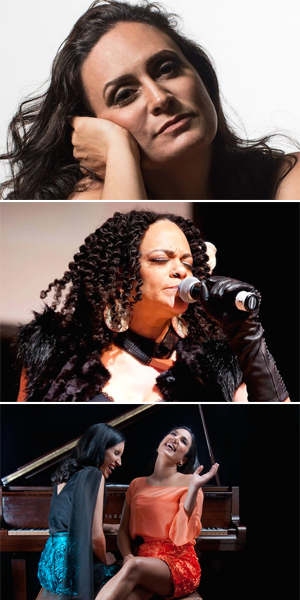 Davila Sisters – Prisca Davila: pianist, composer; Mariela Davila: pianist, composer, flamenco dancer. May 31 to June 10 at Lula Lounge and June 1 & 2 at Dundas West Fest. 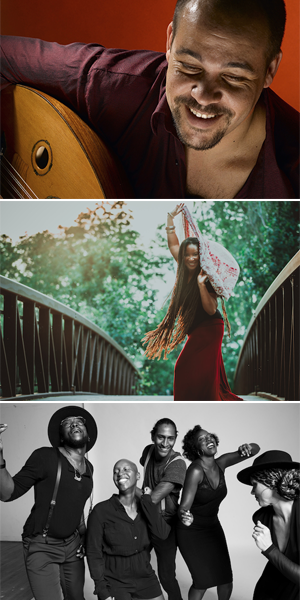 Each year the LULAWORLD festival showcases new work and collaborations by local and international Latin, Brazilian, jazz, folk and global artists. In addition to three CD releases, highlights of this year’s festival include a residency with Olodum member Mestre Memeo Memeu direct from Brazil, Indigenous reggae rock and blues by Shauit and Digging Roots, Philadelphia-based spoken word/jazz poet Ursula Rucker, and a music and mural exchange with Valparaiso, Chile. 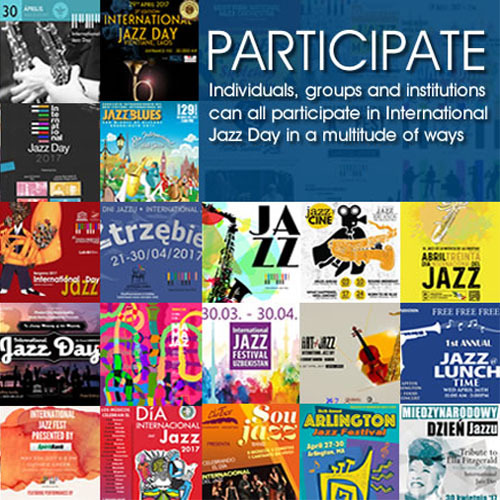 We invite everyone to join in: take a dance lesson, perform in our Street Brass band, and enjoy take in music with roots from around the globe. For all shows, dinner reservations guarantee seating. Dinner and show packages available Fridays and Saturdays. Email info@lula.ca or call 416 588 0307. Co-presented with CIUT and Exclaim! Doors 7pm concert 8pm * $15 advance / $20 at door / a la carte menu / dinner reservations guarantee seating. @Lula Lounge. LULAWORLD 2018 kicks off with special guests direct from Chile, Colombia and Brazil. Paloma Castro: As part of an ongoing cultural exchange with our sister organization in Chile, Valparaiso en Colores, multi-instrumentalist Paloma Castro performs with Ernesto Espinoza, Ruben Esguerra and Luis Orbegoso. 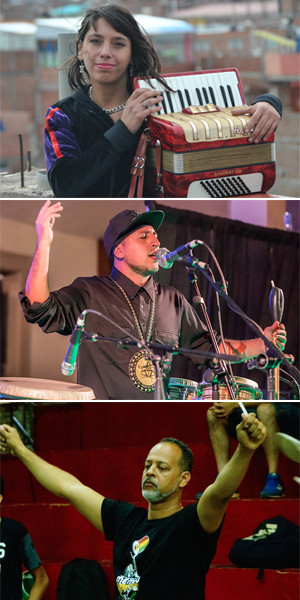 Leang Manjarrés + Ruben Esguerra & New Tradition: A master gaitero at the forefront of Colombia’s Nueva Gaita movement explores diverse Caribbean folkloric traditions alongside Esguerra’s JUNO-nominated Toronto ensemble, creating an empowering, hip hop-infused expression of indigenous and Afro-Colombian music. Mestre Memeu with T. Dot Batu: This tightly knit Toronto Afro-Brazilian samba reggae percussion group is joined by a leading member and educator from the legendary Afro-Brazilian bloco Olodum as part of a week-long residency. LULAWORLD takes to the streets for a day and two music and dance filled nights. Dundas West Fest is a local celebration of creativity and diversity that strives to be participatory and inclusive. 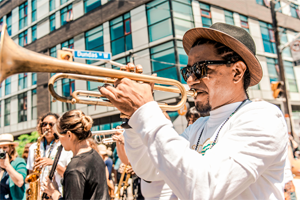 Known as the festival that kicks off Toronto’s summer festival season, it’s the perfect opportunity to invite out-of-town guests to experience and be part Toronto’s exciting multiculturalism. The community street party gives us a chance to share highlights of the indoor Lulaworld festival in a free outdoor setting. In addition to enjoying the 80+ musicians who will appear on the Lulaworld stage over the two days, visitors can participate in a brass band, take music and dance workshops, help paint a community mural and enjoy food and drinks from around the world. See Full Details Here. Doors 6:30pm, dance lesson 9pm, concert 10:30 * $15 at the door / $57 dinner, dance lesson & show package. @Lula Lounge. 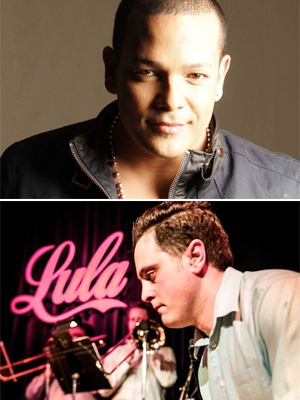 Known respectively as Cuba’s “Golden Voice” and “El Elegante,” two of Toronto’s most celebrated Cuban singers come together to present a night of shared repertoire backed by a full salsa orchestra. Doors 6:30pm, dance lesson 9pm, concert 10:30 * $30 advance / $40 at the door / $69 dinner & show package @Lula Lounge. Direct from San Juan, Puerto Rico, Latin Grammy-nominee Yan Collazo joins leading players from the Toronto salsa scene for a one-night-only special performance. Now a highly successful solo artist, Collazo gained prominence with Colombian supergroups Grupo Niche and Guayacan Orquesta. Doors 6pm concert 7pm @Lula Lounge. Two of Israel’s most innovative musicians, jazz guitarist and oudist Amos Hoffman and pianist and composer Noam Lemish lead this genre-defying quartet featuring Justin and Derek Gray. Doors 8:30pm concert 9:30pm @Lula Lounge. Doors 7pm concert 8pm * $20 advance / $25 door @Lula Lounge. Artistic director of the soulful dance company, Holla Jazz brings an explosive energy to the work of two stellar Toronto jazz vocalists in an evening celebrating the essence of jazz: improvisation and creative expression. Doors 7pm concert 8pm * $15 advance / $20 door @Lula Lounge. Calling upon her Anima, or inner feminine force, Matzner creates award-winning vocal world-jazz fusion, co-written with masterful pianist Scott Metcalfe and inspired by her upbringing in Uruguay. Doors 7pm concert 8pm * $25 earlybird, $30 advance / $40 door @Lula Lounge. Philadelphia-born and based poet, songwriter and performance artist Ursula Rucker, known for her work with producer King Britt, has released six solo albums and contributed to multiple releases with The Roots including their 1999 release “Things Fall Apart.” Version Studio Music Project featuring Lee Castle and Amai Kuda, contributes the opening set, fusing Afro-soul, trip-hop, down tempo, roots and poetic blues. Doors 6:30pm, concert 7:30pm * $15, free before 8pm @Lula Lounge. As pianists, composers and vocalists, Prisca and Marieva Dávila fuse jazz harmonization and improvisation, flamenco and classical forms with Venezuelan and other Latin American traditions. Doors 6:30pm, dance lesson 9:30pm, concert 10:30pm * $15 at the door @Lula Lounge. This Montreal-based, Havana-born vocalist makes a rare visit to Lula to perform two full sets of Cuban timba and salsa as special guest vocalist for the ever-inventive 14-piece Charangon Del Norte led by Cuban trombonist Wilver Pedrozo. Doors 6:30pm concert 10:30pm * $20 in advance @Lula Lounge. 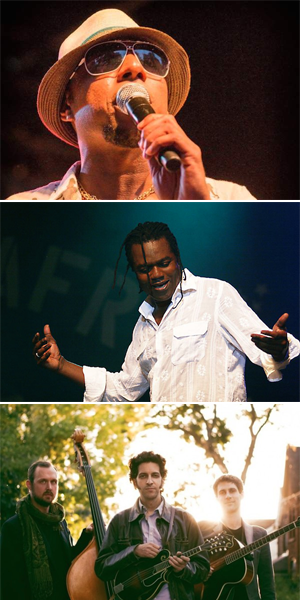 A pioneer in the fusion of Afro-Cuban rhythms with soukous, Angolan semba and kizomba, Lemvo’s three decades of music is “the embodiment of the Afro-Latin diaspora connecting back to Mother Africa via the Cuban clave rhythm.” With special guests Sweet Marie and Yeti Ajasin. Doors 6pm concert 7pm * $20 advance / $25 door @Lula Lounge. Co-founder of Creaking String Quartet and the Foggy Hogtown Boys, JUNO-nominated, Canadian Folk Music Award-winning mandolin maestro Andrew Collins is at the epicentre of Canada’s burgeoning acoustic/roots music scene. His trio featuring Mike Mezzatesta and James McEleney is a dynamic collision of bluegrass, folk, jazz, classical and swing. Lulaworld is made possible through the support of The Toronto Arts Council, The Ontario Arts Council, The Ontario Ministry of Tourism Culture and Sport, The Ontario Media Development Corporation, Canadian Heritage, Canada Council for the Arts and Business for the Arts.